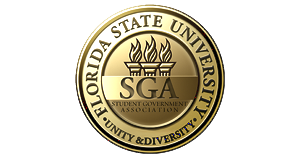 The Department of Student Governance & Advocacy supports student leaders at Florida State University. We provide an educational atmosphere in which student leaders can participate in the financial process, gaining financial literacy, managing student organization budgets, and submitting purchase and travel requests. In addition to educating students on university policies and procedures, we give students the much-needed opportunity to create, design, and develop a working resume of experiences to succeed in their career paths. Please go to Nole Central website (https://nolecentral.dsa.fsu.edu/) and follow the directions to complete a Purchase Request, Contractual Request, Travel Request, or Interdepartmental Request.